Muscle relaxation and promotes good sleep. Are you getting enough magnesium in your diet? If not, don’t worry, because we’ve got Swanson Ultra Super-Strength Magnesium Citrate. What is magnesium? Magnesium is an essential mineral and can be found in abundance in seeds, whole grains, dark green leafy vegetables and some types of fish. Magnesium is important because it plays a key role in the basic cellular function of the heart and nervous system. Magnesium is also the catalyst for enzyme reactions that create energy. 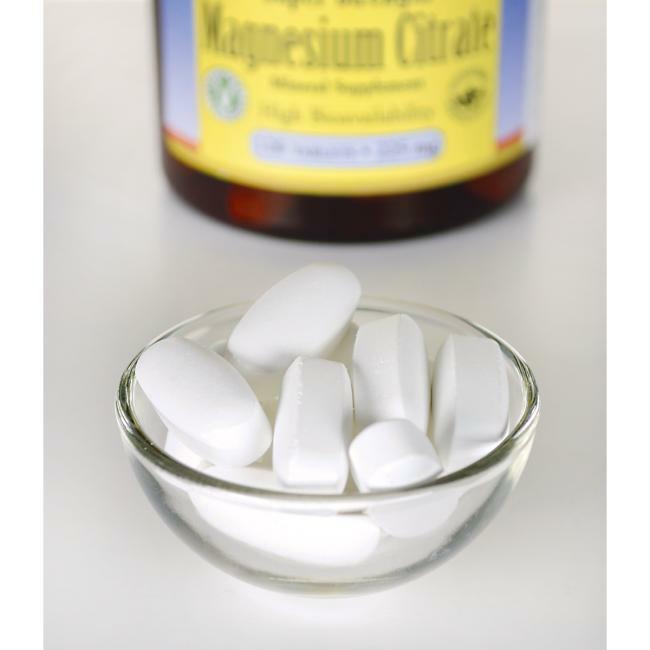 * Our magnesium citrate supplement delivers half of the body’s RDA of magnesium in one, highly bioavailable tablet! Other ingredients: Stearic acid, croscarmellose sodium, hydroxypropyl methylcellulose, titanium dioxide, silica, magnesium silicate, triacetin, magnesium stearate, hydroxypropyl cellulose, carnauba wax. Suggested Use: As a dietary supplement, take one tablet one to two times per day with water. Magnesium citrate benefits include helping to support cellular energy production, reduce muscle soreness, stiffness and leg cramps, promote bone health, calcium transportation, detox and may help support healthy blood sugar levels and promotes good sleep. 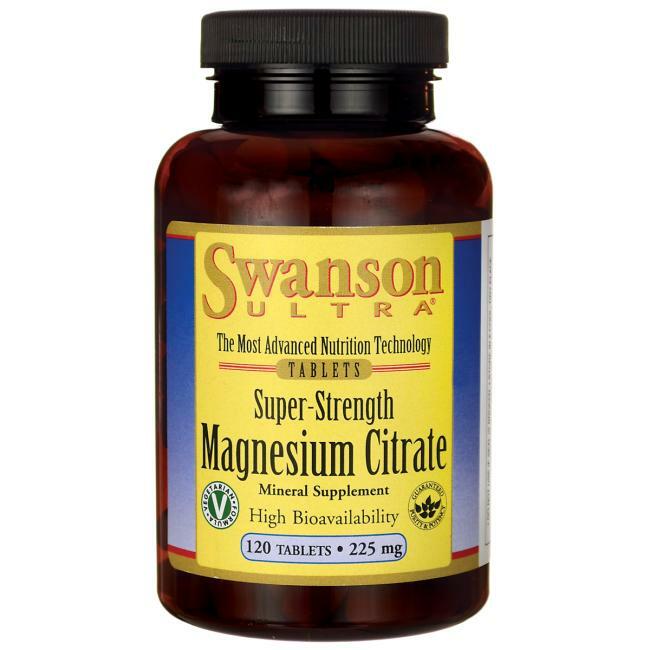 This formulation provides 100% magnesium citrate, a highly absorbable form of magnesium, giving you the best magnesium citrate benefits possible. Support of cellular energy production – The human body is a complex system, and though it has major organs, vessels, and fluids, none of them are going to function if there is something flawed at the cellular level. The use of magnesium citrate will help the cells to function optimally by providing support to ATP and cellular energy production. Stimulates calcitonin (promotes bone health) – Some experts argue that magnesium is almost more important than calcium because of this fact alone. That is because the secretion of calcitonin promotes optimal bone mineralization and introduces calcium into the bone tissue – in other words – without magnesium, bone health could decline sharply. By stimulating the secretion of calcitonin, magnesium citrate helps the introduction of calcium into bone and promotes optimal bone mineralization. Calcium transportation – We cannot forget that it is not just the bones that need calcium, and magnesium is great for supporting healthy transportation and absorption of calcium into cells, blood, and bone. Detox – It is now known that magnesium is vital for the detoxification process and is something that anyone in today’s modern world of air pollution, chemical ingredients in everything, and general environmental pollution should give attention to. Magnesium is essential for glutathione synthesis, and this is an antioxidant known for cleansing the body. May help support healthy blood sugar levels – Research has shown that people with a magnesium deficiency may develop a higher rate of type 2 diabetes. This is because magnesium plays a part in carbohydrate metabolism, and may even have some influence over insulin release. This means it is of the utmost importance for diabetics to consider a supplement as part of their overall health plan.